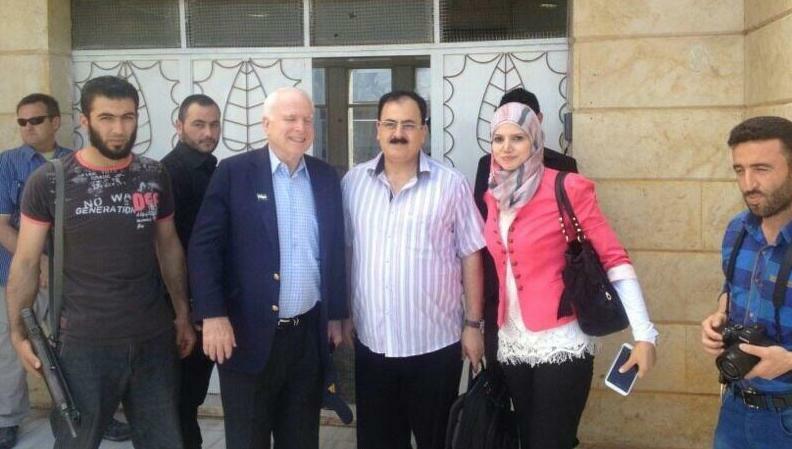 Did Senator McCain Violate NDAA by Hanging Out with Syrian Rebels? 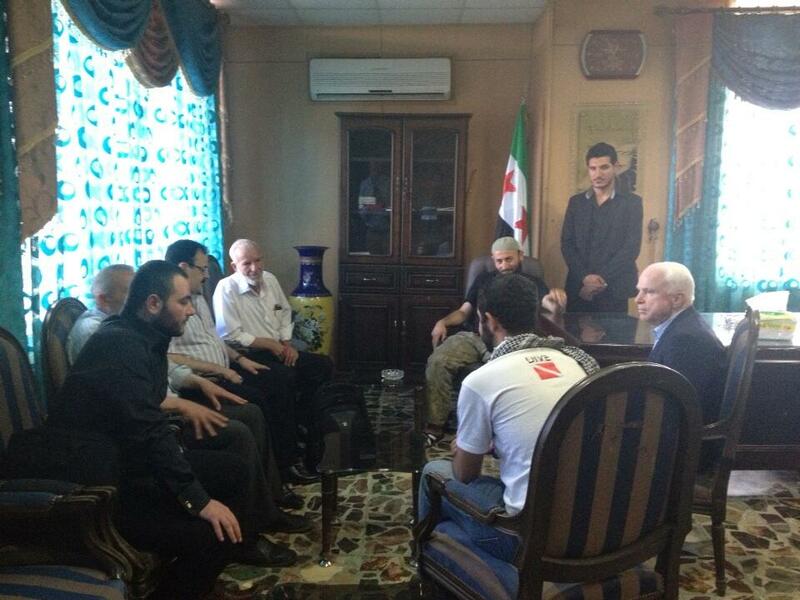 In case you missed it, Senator John McCain took the opportunity this Memorial Day to cross the Turkey-Syria border and hang out with Syrian rebels. These are the same rebels with ties to Al Qaeda. These are the same rebels cutting out and eating the hearts of dead soldiers. According to reports, Senator McCain wanted to go further into combat but was not allowed. And he calls us wacko-birds. The consequences of Senator McCain’s calls to intervene in Syria and meddle further in a civil war could be quite grave, as Russia is sending anti-aircraft missiles to the Syrian regime. The use of chemical weapons has been reported – although it’s unsure which side is using them – with more attacks reported over the weekend. For more on the consequences of meddling in other countries’ civil wars in general, see my post here at United Liberty. For more on NDAA 2012, see this video from Reason TV. So in an interesting twist, by meeting with and lending comfort to Syrian rebels aligned with al Qaeda, Senator McCain is validating their actions, and could be indefinitely detained by the very law he fought to uphold. He can’t have this both ways. Either the law should be altered – I recommend repealing AUMF in its entirety – or he should cease and desist with his activity with the Syrian rebels. Otherwise, we live in a country with one set of laws for the lawmakers, and another for the rest of us.